Once again my kids have stepped up to the plate at our local Spam cook-off and come up with a winning recipe. 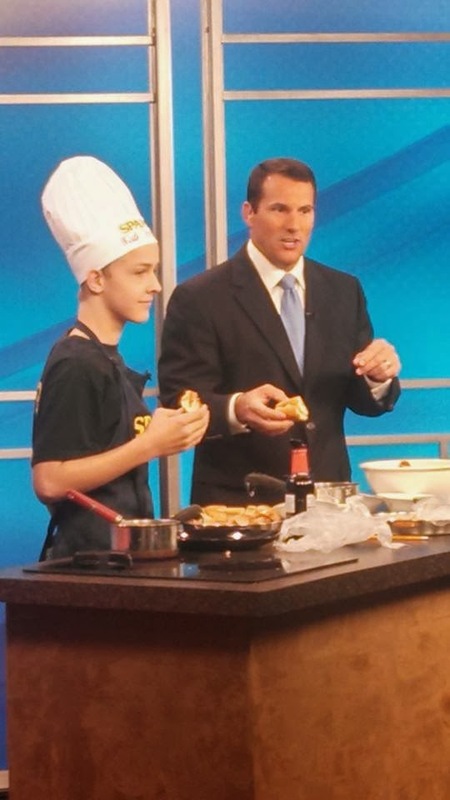 This year, B took third place and was asked to be on the local mid-day news show to demonstrate his recipe. B was really surprised at how deep his voice sounded on the video! The host kept saying B won first, but he placed third. The theme for the Spam contest this year was sandwiches. B loves meatball subs and his dad loves the Hawaiian meatballs over rice his mom makes. This recipe was a marriage of the two favorites, using grandma's Hawaiian meatball sauce. He was pretty cute up there. He had fun and was very excited to get checked out of school for this! I have a great friend who was able to take B to the studio and back to school since I had to substitute teach this afternoon. In a medium bowl, smash together spam, egg, panko and onions. Form in to balls. Bake for 20 minutes at 350 degrees. In a small saucepan over medium heat, mix together pineapple, brown sugar, vinegar, soy sauce and corn starch. Heat until thickened. 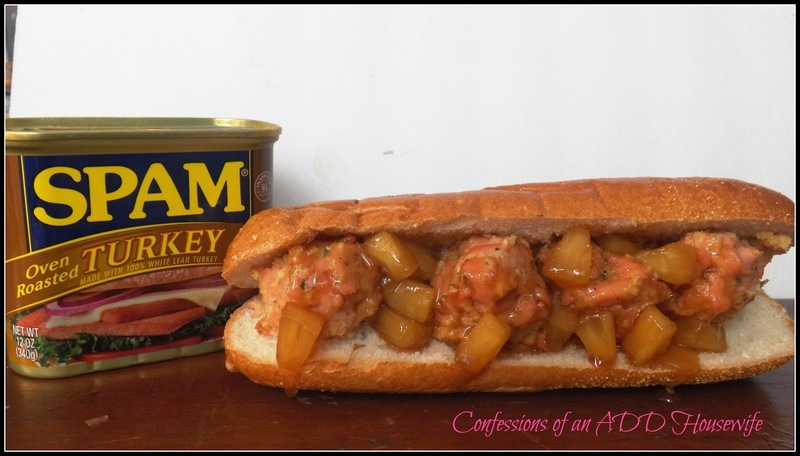 Place meatballs into hoagie rolls and top with sauce. My 12 year old's voice is changing too, and it keeps surprising me. Great job, B!